Materials: Cast concrete slabs, bronze. Location: Length of pavement on Strand Road, Derry, N. Ireland. Description: Originally the river estuary reached this street. 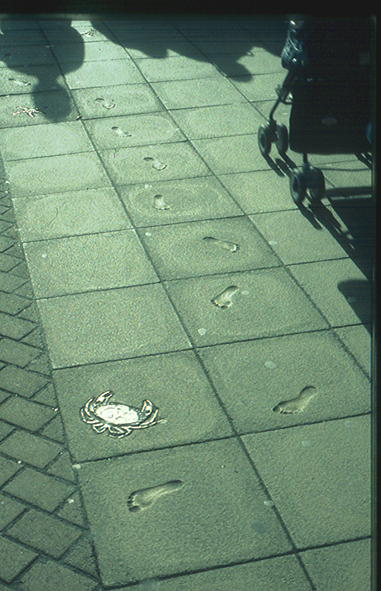 Sand colour paving depicting foot trail impressions, bronze crabs, fish, seaweed and shells.